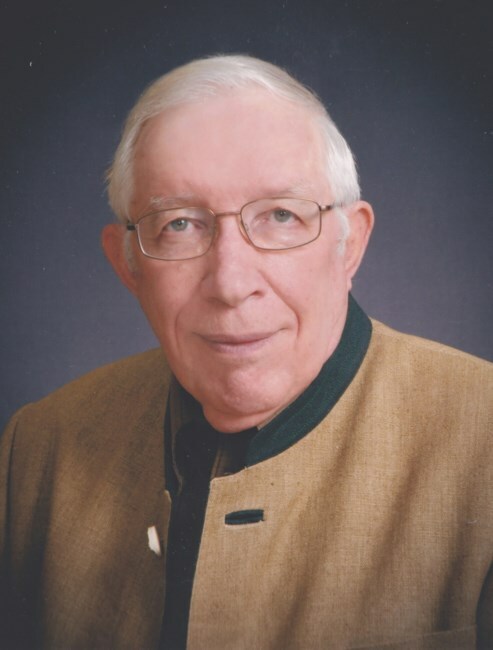 Jack Gordon Grothe, age 79 of St. Louis, died March 13, 2019. He is the husband of Margaret (nee Meek) Grothe, who survives. Jack is also survived by a son Mike (Susan) Kizer, grandsons Lucas Noah and Paul Kizer; a great-granddaughter Mikayla Kizer; and siblings Edwin (Barbara) Eller, Mary (Daniel) McNamee and William (Norma) Eller. Jack was born in Sterling, Ill., a son of Clarence and Catherine (nee Clifton) Grothe. He graduated from Dixon (Ill.) High School. Jack received an Associate of Arts degree at Coffeyville Junior College in Coffeyville, Kansas. He also graduated from Baker University in Baldwin City, Kansas with Bachelors Degrees in Psychology and Sociology and History. He is a graduate of the U.S. Naval Corps School at Great Lakes Illinois and is a veteran of the U.S. Navy and the U.S. Merchant Marine. Jack retired in 1999 from the St. Louis County Department of Parks and Recreation after 22 years as a Park Ranger and Museum Educator at Jefferson Barracks Historic Park. During his retirement years Jack remained very active in various local, state and national military historical groups and societies. Among them are the Scottish American Military Society, St. Louis Civil War Roundtable and Sons of Union Veterans of the Civil War. He was also a member of the Scottish Rite, Shriners and Masons, Arnold Lodge 673. Jack's wishes are to have his body cremated. A burial service of cremated remains will be held at a later date at Jefferson Barracks National Cemetery.